How can you Master Mental Toughness? Mental toughness is a critical ingredient in success. But, how mentally tough are you? When things get a bit uncomfortable, or when you hit your limit? Do you have the tenacity to just keep going, even when every fibre of your being is begging you to stop? Have you ever pushed yourself so hard that you’ve found your true limit? What happens when you get knock backs? Do you have the resilience to come back stronger? Can you perform at your very best in adversity? Are you able to maintain true composure, when you need it most? These are the pillars of mental toughness and the foundation for success in almost any walk of life. Click the image below to get your Mental Toughness Profile! 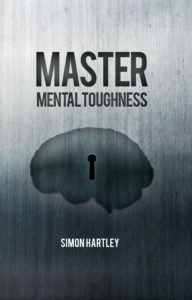 Master Mental Toughness is now on Amazon! If you’d like a copy, please hit the link!